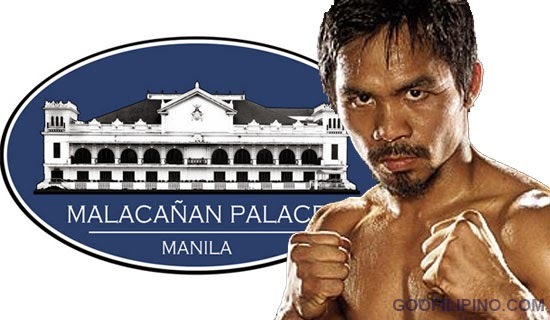 Although Manny 'Pacman' Pacquiao wasn't able to bring the Welterweight belt and lost the fight with Floyd Mayweather, Malacañang Palace still praised him for a good fight he performed that day. The Filipino Champ had lost the fight via unanimous decision against Floyd Mayweather. The score of the three judges are as follows, 118-110, 116-112, 116-112 in favor of Mayweather. Comments or suggestions about "He may lost the bout still Malacañang lauds Manny Pacquiao" is important to us, you may share it by using the comment box below.